" Have gotten a better sleep with the direct seal. Highly recommend this seal. " This is the replacement Direct Seal Cushion for the Respironics Comfortlite and Comfortlite 2 Nasal Interface. Packages of various sizes are sold elsewhere on our site. The Direct Seal Cushion is rounder than the Nasal Pillows Cushion and so does not insert into the nostril. The numbered size of the direct seal cushion can be found in blue numbering on the front side of the cushion. Sizes 4, 5 and 6 are the sizes that are included with the complete ComfortLite and ComfortLite 2 setups sold elsewhere on our site and should be considered small, medium and large. Sizes 1, 2 and 3 are smaller sizes for those with smaller, finer features. What is unique about the ComfortLite 2? 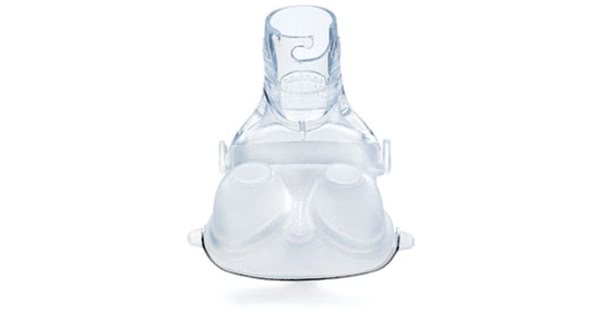 ComfortLite 2 has a unique headgear system that minimizes facial contact and reduces pressure points. The Halo headgear only touches the face at the forehead, at the brow line. The strap goes around the circumference of the head, and does not sit on the cheeks. What interface options can I choose from if I purchase the ComfortLite 2? The three choices are the Pillows cushion, the Simple Cushion and the Direct Seal cushion. How do the Pillows Cushion work? The pillows cushion inserts slightly into the nostrils for a robust seal. The Direct Seal is a Ã¢â‚¬Å“pillow-likeÃ¢â‚¬Â cushion with pillows or bulbs that sit just outside the nostrils vs. slightly inside them. It comes in 6 sizes, 1-6 with most adults using sizes 3-5. Is the headgear one-size-fits all? Do I have to buy three whole masks to try the different pillow sizes? No, the ComfortLite 2 has several 'combo packs' that include two types of cushions in one. Also, you can order all cushions separately if you'd like to try all three! Do the Pillows expand in the nostrils like some Ã¢â‚¬ËœprongsÃ¢â‚¬â„¢ style cushions? How does ComfortLite 2 affect nostrils? One unique feature of these two cushions is that they include a metal band on the bottom side of them. The metal band is pliable and allows you to change the angle of the pillows or bulbs; a squeeze brings the bulbs closer together, helping you to direct the airflow to a more comfortable direction. Can the metal band on the Pillows and Direct Seal cushions be shaped for comfort? Yes, the band can also be used to spread the pillows apart, so you have the ability to find a comfortable angle for the airflow on a daily basis, as desired. How does the Halo headgear work? The Halo headgear has two soft, comfortable straps that extend from the center of the forehead and merging into a single, wide strap at the back of the head. It sits low at the neck. The Ã¢â‚¬ËœhaloÃ¢â‚¬â„¢ itself is a flexible oval shaped piece worn up the center of the head to just below the crown. What is the function of the Halo headgear? Most headgears are a means to attach and stabilize the mask to the face or nose. The Halo headgear sits low at the center of the forehead and has the Vertical and Angle adjusters suspended from it there. A Crown Swivel is at the upper end of the Halo. Why are there 6 eyelets to attach the four ends of the 2 front straps? You will always use the lowest of the eyelets for the lower strap. This is for stability. The upper strap can be attached in any of the 4 remaining eyelets Ã¢â‚¬â€œ adjust for comfort. Does any of the headgear touch my face or cheeks? No, the headgear only touches the forehead. The cushions only touch either under the nose (Pillows and Direct Seal) or gently around the tip of the nose (Simple Cushion). How do you adjust the mask to properly fit it to avoid leaks? There are two key adjustments you can make regardless of the cushion option you choose. Once the headgear is in place, you use an Angle Adjuster and a Vertical Adjuster for optimizing fit. What do these adjusters do? The Angle Adjuster controls the tilt of the cushion to the face and the twist Vertical Adjuster helps position the cushions relative to the length of your face and nose. Can you explain the Angle Adjuster in more detail? If you have seen a picture of the ComfortLite 2, you will notice that the cushions connect to a tube. The tube is suspended from the center of the headgear where the Angle Adjuster is. By squeezing the blue tabs on each side of the Angle Adjuster, you are able to change the angle of the tube (and cushion) either closer to or away from the face. What does the Vertical Adjuster do? As you look at the mask picture, youÃ¢â‚¬â„¢ll see a circular blue knob at the top of the tube connected to the ComfortLite 2 cushion. By twisting the knob, you either extend or retract the length of the tube. Why is the Vertical Adjuster important? There are many varieties of faces in the population and we want to accommodate both short and longer faces by extending or shortening the length of the tube for proper cushion fit. Again, depending on the cushion you use, the Vertical adjustment will be slightly different for each. Are there any fine tuning adjustments available for the Simple cushion? Yes. The Simple Cushion sits on a ball joint fitting. The cushion rotates freely on the ball, allowing you to change the tilt of the nasal cushion to adjust for leaks or for optimal comfort. What is the function of this Halo headgear Crown Swivel at the top of the head? The swivel helps to manager your longer 6 foot hose with a 180 degree swivel which moves from one side to the other in an arch above your crown. The sleeve your hose attaches to swivels 360 degrees also. Why is the Crown Swivel attached to the Halo headgear? Respironics trials found that the short and long hose easily get wrapped up around the active sleeper if not anchored. Also, the anchored swivel helps to absorb the movement of the long hose as you move. Masks often lose their seal because the weight of the long hose tugs at the mask or cushion, which is prevented by the Crown Swivel design. Can I use the ComfortLite 2 headgear with other products? No, the unique headgear on the ComfortLite 2 can only be used with this product. Does the ComfortLite 2 work for people who sleep on their sides? 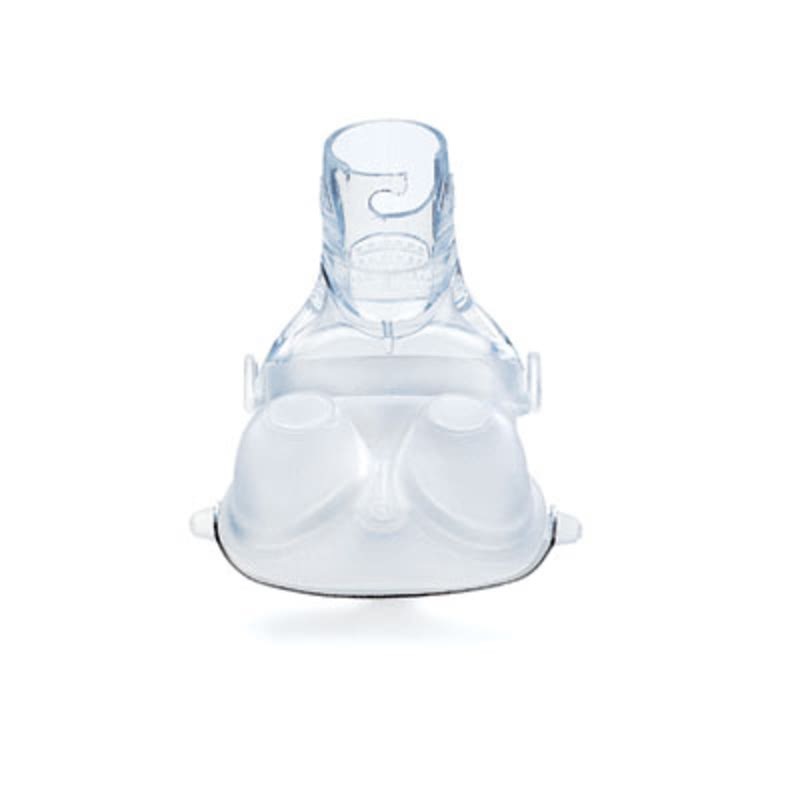 Yes, the ComfortLite 2 is designed to accommodate side sleeping by providing an assembly and interface that is centered over the nose and up the center of the head. Is it easy to take the ComfortLite 2 mask on and off? Yes, it is very easy. To take the ComfortLite 2 off, simply grasp the angular adjustment area and pull the mask forward then lift upward. This way, the mask can be placed on and taken off without changing any of the adjustments. What direction does the exhaled air of the ComfortLite 2 mask go? The exhalation feature of the ComfortLite 2 has been placed on the elbows of the Pillow, Simple Cushion and Direct Seal cushions using a series of small holes. When using ComfortLite 2, the exhaled air is diffused through these holes for a less-direct and quiet stream of air. There is air coming out of the elbow on the cushion Ã¢â‚¬â€œ is this OK? Yes, this is air coming from the exhalation valve. This leak is intentional and removes CO2 from the mask. Never cover or attempt to block these holes. Your CPAP unit is designed to still provide your therapy pressure. Can I wear a chin strap with the ComfortLite 2? Yes, a chin strap can be worn underneath the ComfortLite 2 headgear. How should I clean the ComfortLite 2? Hand wash any Respironics mask using a mild dishwashing liquid, free of alcohol, bleach, conditioners or moisturizers. For optimal outcomes, clean the mask and cushion daily. Headgear and tubing should be cleaned at least once a week. When cleaning, can I take apart the cushions of the ComfortLite 2? The Simple Cushion can be separated from the exhalation (ball-and-socket) elbow for cleaning. The Pillows Direct Seal cushions are not designed to be disassembled from their cradle or housing. Are the Pillows two pieces or one? The ComfortLite 2 Pillows and Direct Seal cushions are single pieces. They both include an integrated exhalation port in their plastic housing. The Direct Seal is a Ã¢â‚¬Å“pillow-likeÃ¢â‚¬Â cushion with pillows or bulbs that sit just outside the nostrils vs. slightly inside them. It comes in sizes 1-6, with most adults using sizes 3-5. Do the three cushions options all work with the same headgear? Yes, all use the same un-intrusive Halo headgear and straps. You can switch from one style cushion to another in less than 5 seconds with just a simple twist and turn motion! When should someone pick a minimal contact mask like the ComfortLite 2? There are several reasons why someone might want to use a minimal contact mask like the ComfortLite 2. Some patients have trouble being compliant because of feelings of claustrophobia when wearing a mask, or they have skin sensitivities that are irritated by using larger masks on their face. Some seek improved visibility or are dissatisfied with aspects of their traditional nasal mask. Others just have a personal preference for less bulk on their face. The ComfortLite 2 helps meet all these needs. Which of the three cushion options is the better cushion for me? You are the only one who can make that determination. The goal of this CPAP mask is to give you three chances to find a cushion you will like and use. Once I have the correct angle for one cushion, will it be the same for all? You will have slightly different angular adjustments when using the Simple Cushion vs. the Pillows or Direct Seal cushions. Are there tuning options for the Pillows or Direct Seal cushion? Yes, there are small metal band on the underside of those cushions which allow you to adjust the distance between the pillows or bulbs to optimize your comfort and seal.